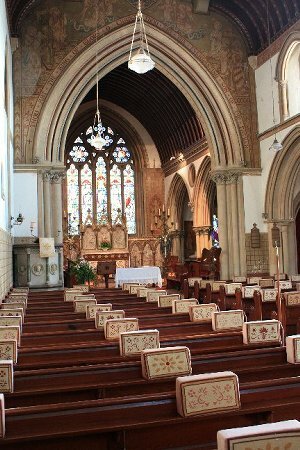 The church took part in the pumpkin trail and children were invited into church to take part in an activity. 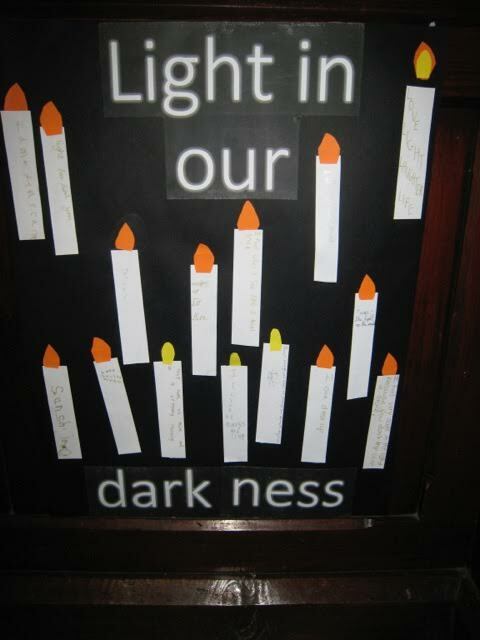 They thought about light and then made and took home a card with a candle stencil, with a flickering tea light behind. The special Hallowe’en cakes were very tasty and great fun. Many of you will have enjoyed hearing the church bells ringing out today in all their glory. We have a fine peal of six bells and today we celebrate the 150th anniversary of their dedication. We don't know when in 1865 the bells were dedicated, so we decided to tie in the celebration with our Patronal Festival - today, All Saints Day. This morning, before the morning service, a quarter peal was rung using a method called 'All Saints Doubles' (a method being the order in which the bells are rung). The service itself featured a re-dedication of the bells, with bell-related hymns, reading and prayers, as well as being our usual celebration of All Saints and commemoration of All Souls. This evening the bells are being rung in a full peal using the Nocton, Ripon and Hobart Minor methods - all names closely associated with the church. The bells were cast in 1865 at the Whitechapel Bell Foundry in London - where Big Ben and the Liberty Bell were also made. The bell inscriptions are 'Blessing', 'Honour', Glory', 'Power', 'Be unto Him that sitteth on the throne' and 'And unto the Lamb for ever and ever'. The wording of the inscriptions is instantly recognisable to anyone who has heard Handel's 'Messiah', as they occur in the chorus 'Worthy is the Lamb' which we heard as part of the service. The original words are from Revelation 5 and were read as part of the re-dedication. Long may the bells continue to ring out over the village!